Introduced in 2007, when Audi was enjoying huge success, the Audi A5 promises an amazing engine, whether you opt for diesel or petrol! This luxury, executive model is mid-sized which appeals to a wide audience. Available as a convertible, coupe, estate and hatchback, there is a used Audi A5 available to suit everyone’s needs and everyone’s budget. 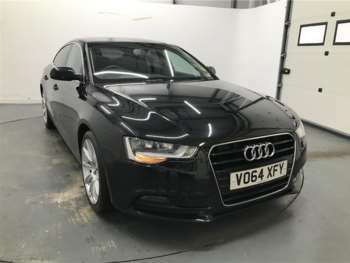 Being a luxury car, this Audi model is on the pricier side, but, on the used car market with RAC Cars, you’re sure to find some great offers. 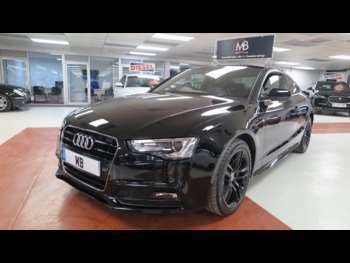 Audi is all about quality, style and performance, so you can certainly expect this when you buy a second-hand Audi A5. With such a range available too, there are a number of extras and gadgets that you can find when browsing. Whatever option you go for, you’ll be enjoying a seriously capable and economical car. Plus, they are famously reliable cars, so there’s not much room for error here. Big Audis are known for their power and the A5 is no exception. For a thrilling and powerful drive, this is the Audi model for you. The comfortable interior makes you feel drenched in luxury, improving your driving experience from the inside out. As an extremely sought-after car, you can expect to find a range of different models at RAC Cars. Got a specific Audi A5 model in mind?